Which of these three powerful teambuilding experiences fits your group best? Will your company be in the 20 percent of players who Escape the Room? Teams have to work together to solve puzzles and riddles in this sensation that’s sweeping the country. See what different team members bring to the table as up to eight people are locked in a room in Scarsdale and given exactly 60 minutes to find and decipher planted clues. There are two rooms with different themes so 16 people can play at a time. Game on! Here’s a photo that will go viral on your company’s intranet: Your team suited up in royal blue jumpsuits, helmets in hand as they channel their inner Dale Earnhardt Jrs and Danica Patricks at Grand Prix New York in Mt. Kisco. They’ll drive state-of-the-art gasoline powered go karts that run on quarter-mile indoor tracks with decreasing radius turns and elevation changes to keep things exciting. On your mark, get set…Go! 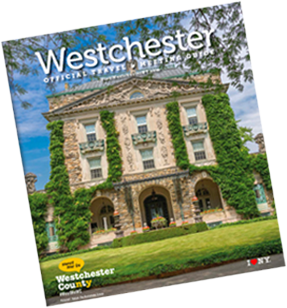 Through its Give Back program, Westchester County Tourism & Film can connect you with local nonprofit organizations that will gladly tailor a project to meet your goals. As your group rolls up its sleeves serving lunch at the Food Bank or beautifying an underserved park, team members will bond over the shared experience of using their time and talents to provide a valuable service to the community. They will return to their office work reinvigorated and inspired!